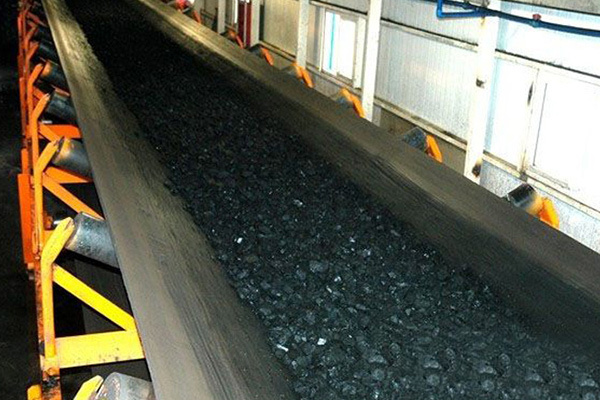 If you are confronting problems like cracking, hardening, early aging of the conveyor belts due to the high temperatures, then it’s time to go with the super heat resistant conveyor belt, a belt that is exceptionally manufactured to resolve such an issue and outlast even under the high temperatures. The best in class quality combined with the ability to withstand high temperatures unfailingly is the reason for high market of our super heat resistant conveyor belt, which is manufactured employing tested quality PVC/PU material in accordance to the ISO quality standards. The farthest quality material and accurately manufactured multilayered configuration promises for the excellent heat resistance that protects the carcass and the belt itself and ultimately increases the life of the respective conveyor belt, even under the high temperature up to 400° and hence is also famous as a high temperature conveyor belt. Further, the PVC/PU material shares the high abrasion and cut resistance that adds an extra perk on selecting the PVC/PU material for higher temperature and heavy load applications, which not only improve the performance ability of your processing but also stretch the service life of the respective. The outstanding performance of our high temperature conveyor belt under higher temperatures has made it the first choice of cement, foundries, steel, chemical, Glass industry, power stations, garbage incineration plants, Iron and steel industry, metal processing, petrochemical and sand industries and gradually being accepted in the other industries to which high temperature is a major concern. The brilliant use of vulcanized PVC makes it stronger and better performer against the heat, whereas strictest quality tests against the same helps us determine the capability of the respective conveyor belt. The potency of the offered conveyor belt to outstandingly resist 400°C temperature has made it broadly renowned as the super heat resistant conveyor belt, which we as manufacturer provide in different width and length as per end user requirement. Further, tailor made conveyor belt for the same is our specialty that one can avail at the most competitive rates all across.